Perhaps there is nothing more mysterious than the true nature of our mind. 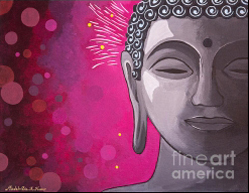 The Buddha taught that the mind is luminous in nature but that it’s temporarily obscured by the five defilements and the three poisons (three unwholesome roots). In this video I explore what the Buddha said about the nature of the mind and how these defilements are not something for us to identify with as they are not an intrinsic part of who we really are.